Gábor Király, the Hungarian keeper, only spent three years in SE25 which is definitely not enough time for a player to become a legend at a club. His reflex saves, his antics on the field and his trademark grey jogging bottoms however made him a real cult hero for many fans ensuring that he remains in the Palace folklore forever. FYP met the big man in his home town, Szombathely near the Austrian border to find out which memories he still keeps about the club and its fans, how he had to adjust his goalkeeping style to the English game, which were his most memorable moments in a Palace shirt (or rather tracksuit bottoms) and what are his plans after retirement if he will ever retire one day. It seems that Palace really suited Király, being a family club and having close connections with the local community, values that are truly important to him. It is quite evident that even though he played for other clubs in England, it is Palace which he will always be associated with. Despite having played for many years in Germany, Király had to adjust his goalkeeping style to the English game. 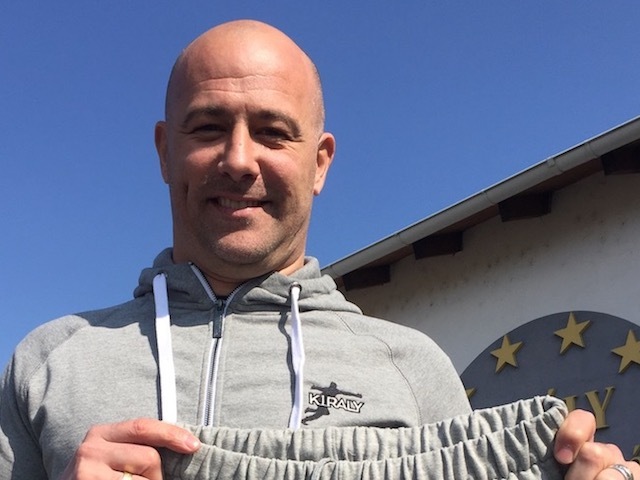 It is quite common knowledge now why Király started to play in tracksuit bottoms. He has already explained it in many interviews before, during and after the Euros last summer. Initially he started to wear them because of the hard surfaces, especially in winter. Originally they were black, but once there was no clean pair available, he had to wear a grey pair instead. They won the match, and did not lose in any of the following nine, so he hasn’t looked back since and it became more than a superstition. He played in joggers in his home team, Haladás, in the Hungarian national team, at Hertha in Germany, but this habit was not easy to import to England. “The black players at Palace were so cool that they used to wear sagging jeans back then all the time revealing a big part of their pants. Once I decided to copy them and wore my joggers in training in the same way with my underpants completely outside. After a first laugh, they told me politely to wear them properly as this had nothing to do with me! He was already the famous ‘pyjama man’ when suddenly he decided to play in shorts again at Stamford Bridge. During that game Kezman scored a goal, the ball slipping through his hands and legs. Some argue that this change was mainly due to an early hot weather hitting London on that day. He uses about 15 pairs (always one size too big for the comfort) throughout a season for training and matches but since he has his own branded joggers, the supply is not a problem anymore. He is even considering to try to sell his own trackies in the Palace club shop if there would be any interest in them. 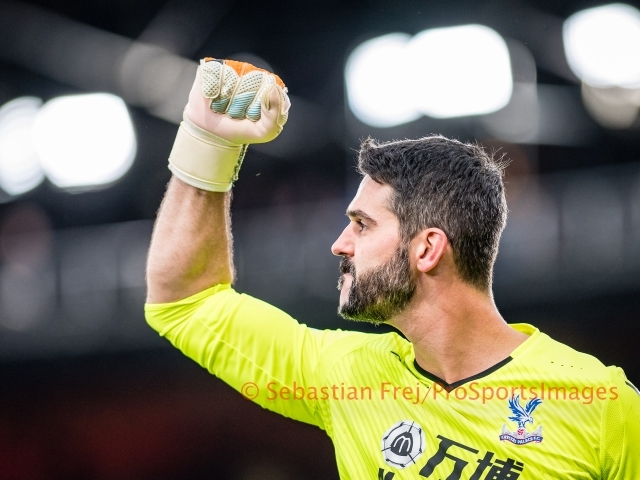 Making his debut for Palace was not only special for him but was also a historic game: he was the first ever Hungarian keeper to play in the Premier League. He had many memorable games in a Palace shirt, his Man of the Match performance against Manchester United at Old Trafford despite conceding five goals but saving a penalty from Rooney or the Arsenal game at home when he simply shut the door. The last day of that Premier League season was a real thriller with all three relegation places being decided on the same day. Palace could not finally survive despite a good late run. The core of the team was kept together under Dowie to ‘bounce back’ and to try to get out of the Championship at the first attempt. The promotion couldn’t be achieved due to a heavy defeat to Watford at home in the playoff semi-final. The manager who signed Király left the club, as well as the club’s talismanic striker, Andy Johnson. At the beginning of his third and final season in SE25 Peter Taylor kept Király in the team (despite handing the number 1 shirt to Scott Flinders, a new signing from Barnsley) but generally things did not go quite well for him under the new manager, and he was loaned out to several Premier League teams during the season. It was also quite surprising to see four keepers rotating in goal in one season. He became the oldest player ever to appear at the Euros and also holds the record of appearances for Hungary, having played 108 times for the national team. He still plays for his hometown club Haladás in the Hungarian first division, where he returned after 18 years spent abroad. 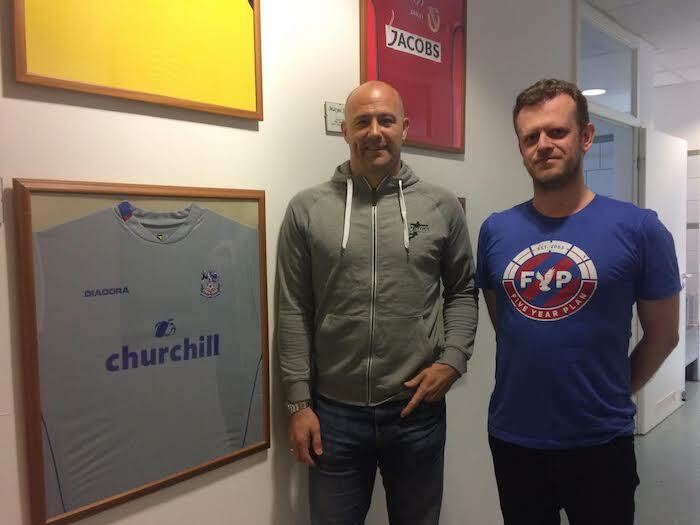 Some of Király’s former Palace team mates, Dougie Freedman and Tony Popovic moved into management, while Aki Riihilahti became chairman of his boyhood club, HJK Helsinki. Gábor has other projects after retirement. “I still played in Germany when I decided to build this sports complex I own back in 2003 with several pitches on the same land where my father started to play football in my home town Szombathely. I tried to use and capitalise on all the experience and know-how I gathered through my footballing career abroad. Just to give an example, I was close to the groundsmen at Palace, because I was interested in how to care, maintain the pitch, to know how to better regenerate the pitch properly. I really wanted to make use of all the knowledge I experienced in realising this project which I managed parallelly to my playing career. 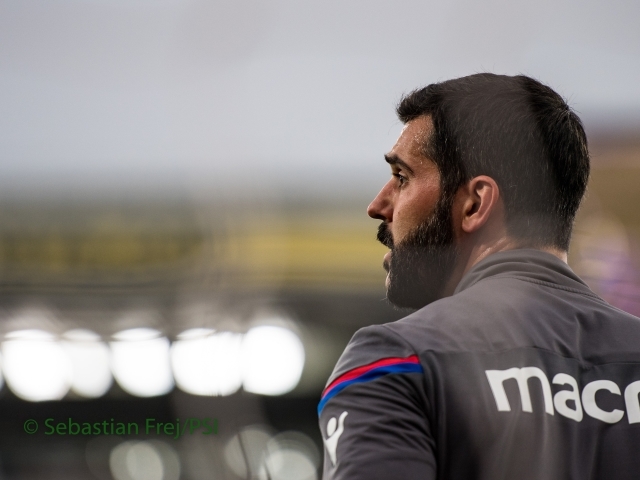 Julian Speroni continues to rewrite his Palace chapter with every remarkable save and every wonderful performance. He’s a person of great character, wonderful integrity and true passion – a player that supporters have grown to love and a person that managers have continuously placed their trust in. As #SperoniWeek draws to a close, Robert Sutherland was given the opportunity to meet with Julian over a coffee to discuss his thoughts on the club, the play-off wins against Brighton and Watford, his relationship with the fans and, most importantly, his ponytail. FYP: How does it feel to be back in this situation that you found yourself in nine years ago, but this time being the number 1? JS: It feels great. It’s where every player wants to play. When I first signed for Palace I thought I was going to get a run in the Premier League but then Gabor [Kiraly] signed for us and he became No. 1 so I had to wait for my chance. Now, the way we've done it with promotion, it means a lot to me. Would you say that this team is a better team than the one that you played in last season? I said that before last season. I thought the team we had last season was one of the best teams we've ever had – even compared to our last Premier League team. The experience and togetherness, it was an amazing squad. Of course, we've lost Wilfried and Glenn to an injury so we need to repair that and bring new players in. But it’s looking good. The team spirit is still there; the togetherness, hard work and mentality is still there. I don’t see why we can’t be one of the best Palace teams at least in the last ten years or more. What was your abiding memory of the play-off semi-final against Brighton? 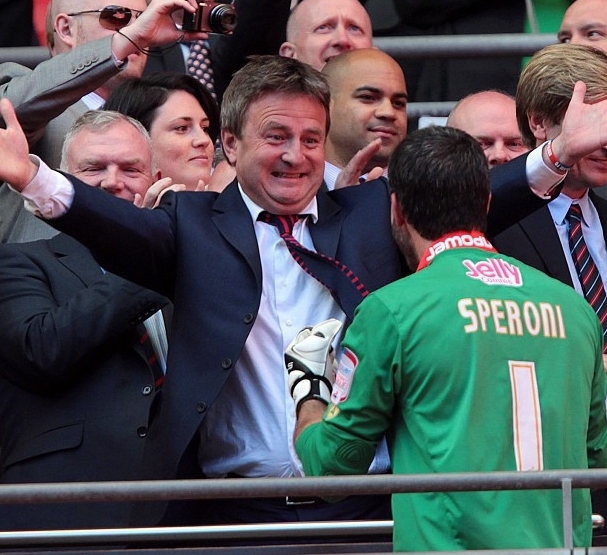 Play-offs are always exciting – but doing it against Brighton gave it a really special meaning. It made it double as special; for the players, for the fans, for everybody. It was fantastic, especially after a 0-0 draw at home as everyone thought we would lose – we were the underdogs. They wrote us off. Going there, believing in ourselves and knowing that we could win it – it was amazing. When did you realise that Brighton were such big rivals? The first time we played Brighton, the season we went down from the Premier League, I wasn't as aware of how big it was. It was only when they came up again to the Championship a few years ago that I realised how big a game that was. So the play-off semi must have felt like a really important game? Well the rivalry builds on you. Every time the fans see you they ask you about it. The circumstances are obviously different in the play-offs but I always try to think about the game. I play the game and not the occasion. That’s what I always try to do. Yeah, of course I remember it, but it was instinct. It’s one of those saves where you just react – I was moving to my right and then I had to move to my left and I just managed to push it away. I remember thinking that I was actually trying to catch the ball but then I thought I wasn't going to make it. So I just had to push and stretch my hand out. The one against Brighton was very similar; where Ashley Barnes had a header and I just [gestures] pushed it against the bar. It was one of those things where you don’t think – you just react to it. When you watch it, do you think, ‘wow, that was a really good save!’? Would you say that those two saves were your most significant ones? For what it meant for the team, probably yes. They weren't perhaps the hardest saves I had to make but what it meant for the club. The other, third one is the one I made against Sheffield Wednesday where we needed to stay up. Again, it wasn't really because of the save but because of what it meant. I think I’m a fan. I feel like a fan. Obviously I’m a player but I feel I’m part of the club. I enjoy it so much when we win and I feel sad when we lose. Do you remember that brilliant banner the HF did? Yeah. It probably wasn't the best idea to put it up before the game because it made me emotional, they should have done it after the game [laughs] but I can’t thank them enough really. The appreciation they show me; every time I meet fans it’s always amazing, the way they make me feel. There’s only one way I can repay that, by performing on the pitch. They know I can make mistakes and I can play bad, but they’ll know that I always play 110% on the pitch. And I really appreciate it. Do you have any close friends in this Palace team? No, to be honest we all get on really well with each other. Obviously, with the goalkeepers and trainers I have a very special relationship because we work together all the time. There’s a special bond between us. It’s a goalkeepers union. With this team, you found yourself with three different centre-backs, Peter Ramage, Danny Gabbidon and Damien Delaney, all coming in after pre-season or just before the start of the season. Did you find that difficult at all? Was there any adjustment needed? They adjusted really quickly. You need some time to get to know your teammates. When you've played together a few years it’s probably a bit easier, but they’re experienced players and they knew what to do. They've been fantastic since the moment they arrived. You've also got Jose Campana on the team now. Is it nice to have someone Spanish speaking on the team? Oh, it’s great. It means I can practice my Spanish again, as I kind of forgot. [laughs] I’m helping him to settle in England. It’s difficult for him because he’s in a different country – when he goes outside and hears people talk, to him it’s just noise because he doesn't understand. So I’m enjoying that. Oops! I meant ten years at the club next season. Did you imagine you’d be at the club for ten years when you signed? No, no way! That’s not common. It’s something that players don’t think they can achieve. It’s almost a whole career. When I came here I signed a four year contract and thought that would be the end of my time at the club. I didn't plan it – things just went this way. And to be honest I’m really glad about it because I've had such a fantastic time. How much longer do you think you’ll be playing? Well, I feel great. I've just turned 34 but I feel really great. It’s a matter of fitness really; if your fitness starts dropping and you mentally lose the fight, it can be difficult. You have to get up every morning and work hard. But goalkeepers now work until they’re in their 40s – right now I’m in a great place fitness-wise and mentally, so hopefully I have another five or six years left. And finally, we've had questions about your hair. What led you to cut the ponytail off? She liked it long then? Any thoughts of growing it back? It's been more than 14 years since Matt Jansen played for Crystal Palace, but he still has an affection for the club. The former flamboyant striker only played 31 times for the Eagles between 1998 and 1999 but joined the club when they were in the Premier League from Division 3 side Carlisle - making a bit leap up the leagues much like Dwight Gayle did this season. The 20 year old Jansen scored three in eight after making the £1m move, but thinks Palace need more established top flight quality this season if they are to avoid the drop. "It's a different type of player," he told FYP. "You get time in the Premier League, a lot more time to think. It's fast but it's not in your face fast if you know what I mean. "Great Championship players aren't necessarily going to give you good Premier League teams really, Palace need some Premier Peague players amongst that. It's the quality, if there is a mistake and a chance created it usually results in a goal whereas in the Championship you have chances to redeem yourself but that's the reality of top flight football I suppose. I really hope they stay up but if not they can hopefully come straight back up." After making the move down south from Carlisle in 1998 Jansen settled quickly at Selhurst, and puts that down to the confidence of having made a big move. "I enjoyed it, I thought it was alright, I found it ok," he added. "I think six or seven games I played in the Premier League at the back end and I scored three goals but I was probably just high on adrenaline, flying high with confidence and adrenaline. I had just made a big move and I was just enjoying it and if you enjoy your football the best should come out of you, and I was. "Unfortunately we did get relegated, we had a good side and nobody knew what was going to happen six months later. Palace is a club with not masses of finances, that's the problem they've had historically. It was going to work with Goldberg but then he threw too much money too soon and was buying just named rather than players that would do the job for him." Despite a short stint, Jansen has fond memories of Palace and the Selhurst faithful. "It was a great ground to play at. It was the fans, they get behind the team, they're proper supporters, they're not fickle. They try and get behind the players." Read much more from Matt Jansen in issue 38 of FYP - out on January 1, 2014! Former Crystal Palace sporting director Iain Moody has lifted the lid on the text-gate scandal which ended his spell with the Eagles. He speaks exclusively to FYP's Matt Woosnam. The 40-year-old joined Palace in October 2013, when the club was in the midst of searching for a new manager to replace Ian Holloway who left after a 4-1 drubbing at the hands of Fulham. But Moody lasted only 10 months, and he left the club following the leak of alleged sexist, racist and homophobic text messages and emails exchanged between himself and former Cardiff manager Malky Mackay which denied Mackay the opportunity to become Palace manager. Whilst he offered no excuses for his behaviour, he sought to explain the reasons behind it. He said: “I think football is an intoxicating environment, both as a fan and as someone who works there. It’s a very strange world that I had 10 years of without a break. It’s been quite nice in some ways to devote myself to my kids and my wife in the last four or five months. “In life most people you meet are good people, there are some who aren’t and never will be. I think good people sometimes do bad things. It doesn’t mean that they are no longer good people and I think everyone has got something you can refer to in your own past to say why did I do that? “I think we can all look back on experiences of reacting to situations in a particular way and thinking ‘god there’s no way I would do that again’, or even as has happened to me, reading back things and not even recognising that it was me who said them, thinking… and I’m not denying it was me, but that’s unrecognisable and it’s not a reflection of where I am and what I stand for, and the education that I have had; and I don’t mean necessarily formal education but upbringing. Moody and Mackay are both subject to investigation from the Football Association following the texts. Proceedings remain active, and he was reluctant to discuss the situation but insisted he was keen to help the FA in any way he could. He resigned from his position at Selhurst Park, and admits he considered it previously when other issues arose, including the allegations that he had obtained the Cardiff City team sheet prior to Palace’s 3-0 victory at the Cardiff City Stadium in April. “I was conscious throughout my time at Palace that there were various storms that occurred around me,” he added. “I was conscious throughout my time there, it sounds contrite but the owners had been so good to me from the day I came in. The first day I met Steve [Parish] I was conscious that I didn’t want to be a problem. It’s got nothing to do with Palace really. I said to Steve on many occasions ‘I don’t want this ever to be awkward; if you think that the problem of having me here outweighs the benefit of having me here I will just go’. The story should never be about me, all the people who have done my job well in the past, no-one knows who they are." 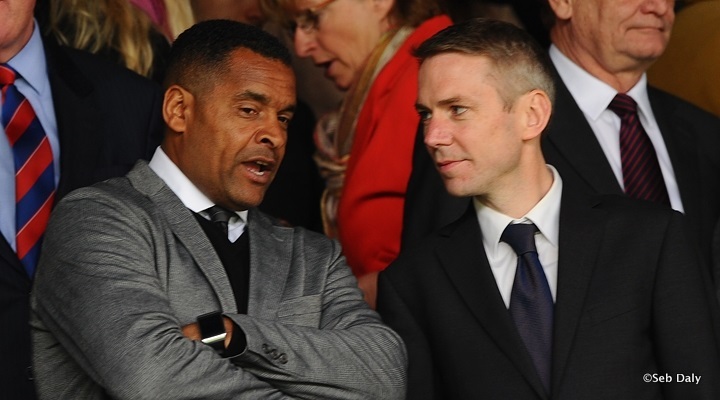 He asks me if Dan Ashworth walked in would I recognise him, and although I know who he is talking about, I have to concede I do not know what the director of Elite Development for the FA, and former West Bromwich Albion sporting director looks like. To emphasise his point, he adds: “Yet he is held up as one of the forebears of doing the job well. Nicky Hammond at Reading has been there for ten years and not many people would recognise him. I don’t ever want to be the story, and I was my own worst enemy in that in some ways, and I would act differently if I did it again now. “There was kind of an understanding that I’ll just go, I’ll just go. Steve throughout [the previous issues] was like ‘no, no, no, I want you to stay, you’re doing a good job, we need you.’ But that was a little bit there and then. I didn’t want Palace… they were looking for a manager at the time, the season had just started, transfer window open, there was a lot of stuff going on and I had become a story and I didn’t want to be a story that impacted on Palace. Read the full interview in issue 42 of Five Year Plan, out vs Everton on 31 January and available around the ground at Selhurst Park. He helped Palace demolish Brighton in the 70s and dazzled fans on the wing, and now Vince Hilaire is backing the Eagles to beat their rivals in the playoffs. Ian Holloway's men face the Seagulls on Friday night in the semi-final first leg at Selhurst and despite going down 3-0 at the Amex two months ago, Vince is convinced Palace should be confident. "Palace losing to Brighton 3-0 in March to me is no big deal because those things happen," he told FYP. "The playoffs, particularly in the Championship, are absolutely weird. Anything can happen. "It wouldn't surprise me if the second leg goes to extra time or penalties because I think they are very evenly matched. When Brighton won 3-0 in March they were hitting form and Palace were at the bottom of their slump. It was bad timing. "Also I think Palace just shade it when it comes to match winners. Brighton are probably a lot more steady which is unusual with someone like Poyet in charge but I'd rather have those players like Bolasie, Murray and Zaha that can make a difference in an evenly matched game than having average ones. "It's all about keeping it tight at the back and I hope Holloway starts with Bolasie because I am a fan of his. Brighton will be favourites so there isn't going to be the over confidence there might have been before. "Palace showed great character in the Peterborough game after a dip in form, which will help. Hopefully it looks like they've got themselves back together again, every team has a run of bad form, they've had that and can kick on again now. "If they hadn't won it would have been going into the game on the back of another draw so it's good to get confidence going." And Vince puts Palace's downturn in form in part down to Wilfried Zaha's transfer to Manchester United in January. He added: "As far as I'm concerned the downward turn was really after the Wilfried Zaha deal [to Manchester United]. I love Crystal Palace, and I'm sure he does too, but with the best will in the world, if you have a move to United looming on the horizon, I don't care who you are, you cannot be 100% focused on the club that you're basically on loan to. "Especially when you are young, you can't help but think about what the future holds. You can't do it, you wouldn't be human! "He was always going to go, and I think Palace should have had contingency plans for another couple of players in the pipeline. Take nothing away from Wilf, I think he will be great at Manchester United but I would have had a contingency plan and get someone who may not have been as good but would have been 100% focused and trying to impress the Palace fans. "It looks like Wilf has got his mind back on it again though, maybe because it's the playoffs and it will hopefully be three big games and I think you will see the best of why United have bought Zaha. "With gifted players you have to take the rough with the smooth and hope they have more good days than bad days. What brought Zaha to the attention of the bigger clubs was that he was doing it week in week out, which is unusual for a wide player as skilful as he is." But it's another Palace winger that Hilaire is backing to be a game changer in the two playoff semi-finals, despite an inconsistent run of late. "Bolasie had a great start to the season but has proved my point about wide players, you've just got to hope you have more good days than bad days," said Vince. "With wide players you could be the best in the world - you could have Gareth Bale playing for Palace - but if your team hasn't got the ball you aren't going to notice him. "What I noticed when I was playing was if your team was playing badly and you'd get the ball nine times out of 10 moves and lose it three or four times, the fans would still be behind you because the other four or fives times you'd do something amazing. It would be a case of you've not been in the game for 10 minutes so as soon as you get the ball you've got to do something amazing. "Therefore your heart rules your mind and you might take on one player too many you might try a shot from an outrageous angle because the team is not playing well and you think you've got to step up to the plate. "But players are the best judges of players, you don't get three in the PFA Team of the Year if they can't play and football will always be a team game, no matter how good you are as an individual, and if a few of you are off the boil the team suffers. And I think Bolasie has suffered as a result of the team's poor form." Back in the late 70s it was Hilaire who ran Brighton rugged, scoring twice at Selhurst in a 3-1 win, just as the rivalry was hotting up, and he believes it will add spice to what is already going to be two close games. He said: "The rivalry certainly had an effect on the players when I was playing. When I was at clubs in the north people couldn't get their heads around the rivalry because geographically it doesn't look like one. "I was around really when it first reared its head, and it was entirely down to two ex-managers; Terry Venables and Alan Mullery. I listened to an interview with Mullery the other week and he said it was down to Venables and Macon Allison - he failed to mention himself! He was as much the instigator! "We're talking about the game like fans and it's the team with the most players that understand that will win. I'm looking round at Palace and there's Speroni who's played in a few but otherwise how many are there who know what it means? I look at Brighton's team and they've got even less! "Brighton will be favourites but I just got a sneaking feeling Zaha will prove why Manchester United signed him. And Murray, its sods law he will get back to scoring ways against his old team. "I like him, he leads the play well. He isn't someone who will beat five players but he will score goals. He relies on good service, and that's why you need those players who supply that service, Zaha and Bolasie, on form. And the great thing about Ian Holloway, he has been there and done it when it comes to the playoffs. "The one thing I love about about the playoffs even if you don't win at home in the first leg, you've always got a chance, so I wouldn't despair. Anything can happen and Palace are good on the break and will definitely score in both legs. Holloway has been there and done it, Poyet is a good manager but hasn't been in this position before."